Little Raven was stolen from her owner's kitchen on Monday during a burglary. 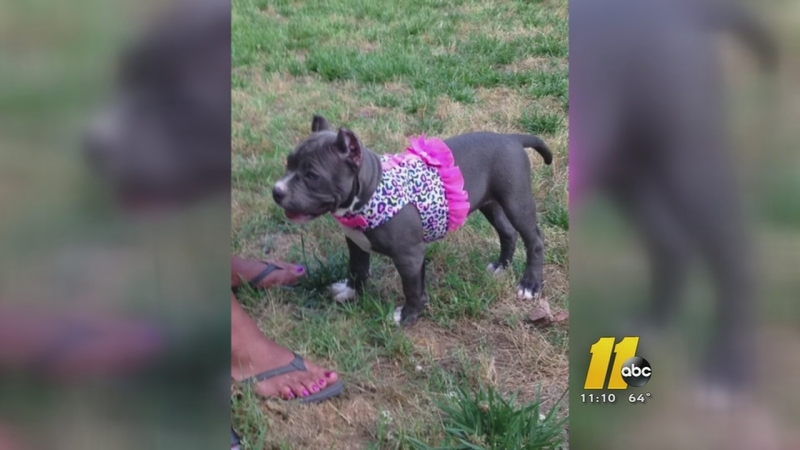 DURHAM (WTVD) -- A Durham couple hopes a $500 reward will bring home their puppy. "She's a love bug. She loves to cuddle. We did find that out in the short time we had her, and I don't want anyone to try to fight her or breed her. She's our family pet," said Powell. "My biggest concern is her health. We just had her ears cropped. She has stitches that need to come out. They could get infected if not properly cared for," said Satchel. They've been putting up posters with Raven's picture all over their neighborhood hoping for her safe return. If you know anything about the crime, or know where the puppy is, call the Durham County Sheriff's Office at (919) 560-0896.